Another step-out using the most basic of shapes. I called it Peacock, not because it looks like a peacock, but because it spreads out like a peacock’s tail. All of the versions have the same pattern with a different shape for the motif. Note the first version uses a combination of triangles and squares because I like the look better. 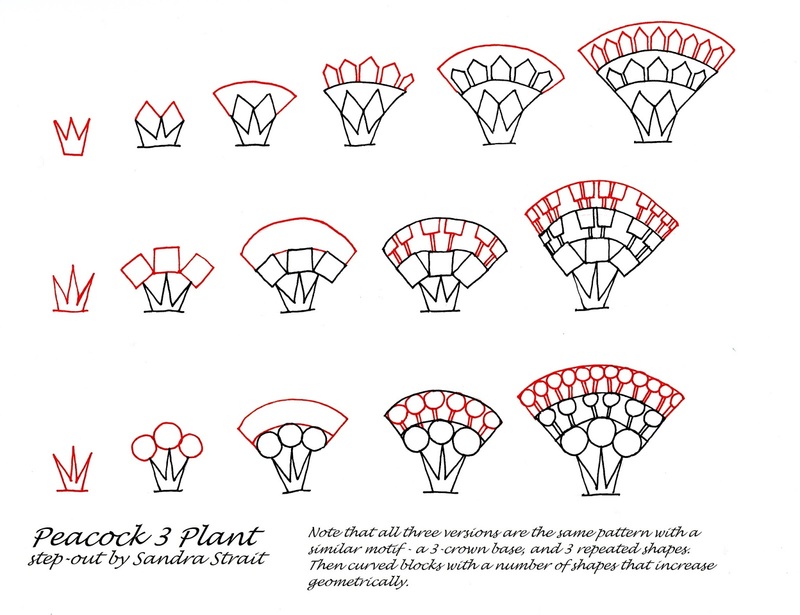 This really should be a set of 4 Peacock Plants because another could be done using triangles. Maybe you’d like to try it out?